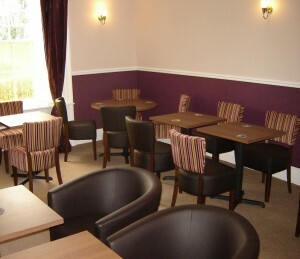 The Residents’ lounge bar at the Glenbank provides a warm and friendly atmosphere for you to relax in. Offering a wide selection of drinks including draft beers, wines, spirits, liqueurs, soft drinks and specialty coffees, the lounge bar is perfect for relaxing in comfortable surroundings. The lounge bar is open from 6-10pm every evening for guests.